Today is a significant day for Christians all over the world. It is Easter Sunday. A day in which we celebrate the resurrection of our Savior, Jesus Christ. 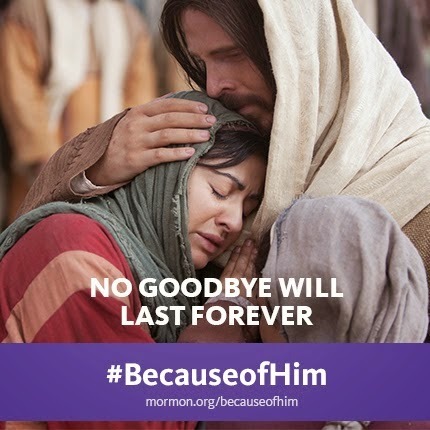 Through out this past week, I saw a series of posters created by the Church of Jesus Christ of Latter-day Saints sharing the different blessings we have received because of Him, our Savior. The one that left the deepest impression on my heart was the one that stated, “No goodbye will last forever.” Perhaps the reason this poster touched me the most is because today also happens to mark the anniversary of my mom’s passing. Six years ago, to the day and date, my siblings and our spouses surrounded my mother, as she slipped from this life in to the next. As I sit here and contemplate all the many blessings that we receive through the birth, life, death, and resurrection of Jesus Christ, I marvel at how I’ve witnessed those blessings first hand in the lives of so many, myself included. 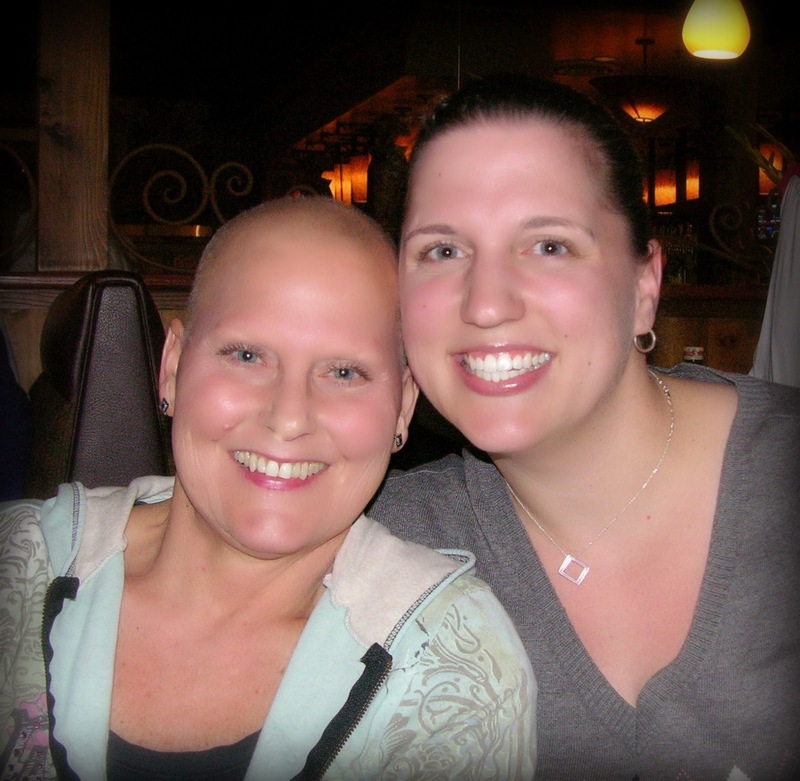 I think of my own Mom’s life and how she struggled for so many years. While I do not know all the sins and troubles my mother bore, I know that in her final years on this earth, she did all that she knew how to change her life around and make it Christ-centered. She had expressed to me at one point how much she mourned all the wrong that she had done. At that same time, I watched firsthand as the power of forgiveness worked in her life. I watched as she touched the hearts of all those she came in contact with, I watched as she showed mercy to others that she saw suffering similar trials, I watched as she exemplified strength with each hideous chemo session she had to endure, and I watched as she made every effort to make every moment count with her children and grandchildren. My Mom left behind an amazing testimony of the strength and peace that comes from living a Christ-centered life. What she left for me, and her posterity, is an example of each and every blessing we are afforded through Jesus Christ. While it’s difficult that the anniversary of her passing lands on Easter this year, I am finding comfort in the significance of the sacred holiday as it pertains to my Mom’s life and my eternal perspective. Upon reading and watching the above mentioned messages and applying it to the tender matters of my heart, I have gained a greater understanding of Easter. It is not just that we celebrate that He is risen. It is the realization of all that we receive through His atoning sacrifice and resurrection. Because of Him we are given second chances, mercy, comfort, hope, and eternal life. How grateful I am for each of these blessings. All that being said, it was hard this week to recognize the blessings that come from the Gospel of Jesus Christ. I suppose my load just felt too heavy to bear. Sadly, I spent a good portion of Wednesday focusing on all the things I had been “robbed” of by the premature passing of my Mom. I found myself experiencing feelings of anger and resentment all over again. I subconsciously made the decision to focus on all the “have nots” in my life and began to feel sorry for myself. I think what it comes down to is that the depth of my heartache was too heavy to bear…alone. That was my problem. I was trying to do it alone. I needed to give my burdens to the Lord and open my heart up to those with whom He has placed in my life as a tender mercy. Even though night was falling by the time I opened up to my husband, and then to my friends, my day was growing brighter; my load was lighter. Lovely words this Easter Sunday Sara! I’m so grateful for my knowledge of our Heavenly Father’s plan and I know that Families are forever. That quote of Sister Hinckley is one of my favorites! Thanks for the uplifting words – hugs!